Home ventilation systems for Wellington - Lower Hutt - Porirua. A tailored ventilation solution for your home! Ventilation Wellington style often means opening a window and letting a whirlwind into your home. 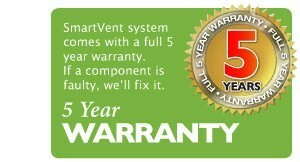 SmartVent Ventilation systems, as outlined below - we are an accredited installer covering the Wellington region. Home ventilation systems use fan to move air into your house and can provide continuous ventilation regardless of Wellington's weather and without the need to open doors and windows. This helps to maintain air quality and remove moisture from everyday living activities. CDR recently advised us on the best SmartVent ventilation system to replace our old DVS ventilation system. From initial consultation to installation we were impressed by their knowledge. Easy to use controls, 2 additional ventilation outlets, tempering heater, we're very pleased with the end result. No more condensation problems for us. Very tidy job, thankyou Brian and Richard. 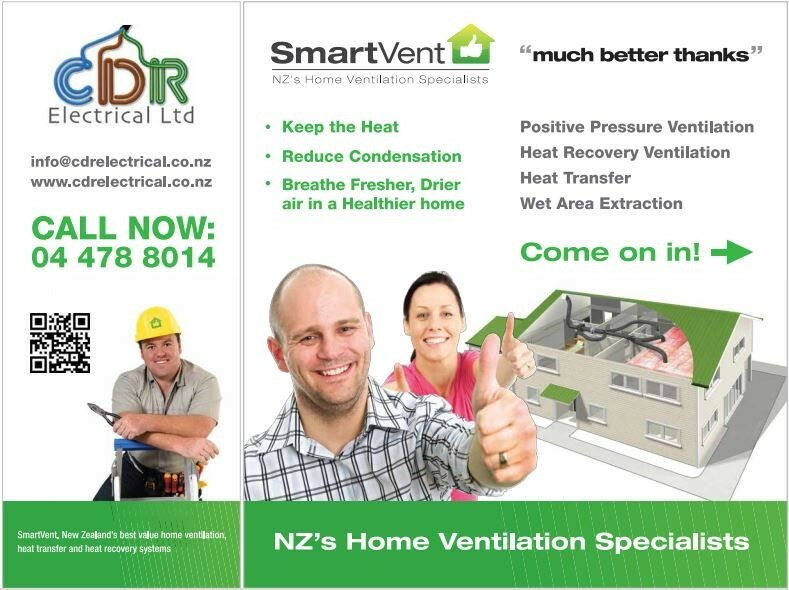 SmartVent systems - an accredited installer for the Wellington region for their ventilation systems. 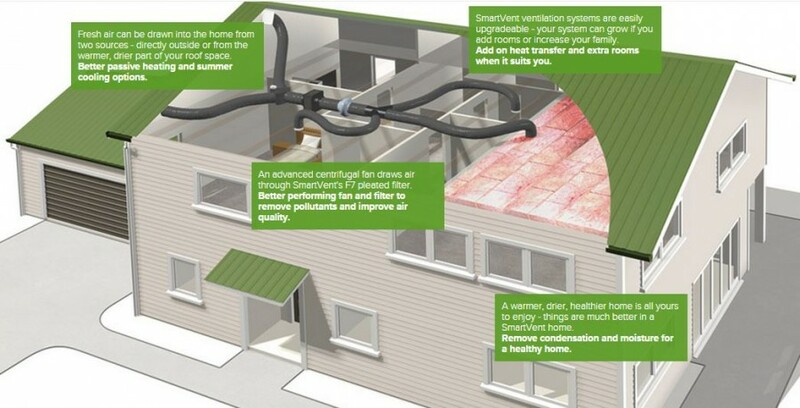 SmartVent have several systems available for your home. We are an accredited installer covering the Wellington region. We can assess your needs and advise you on a tailored ventilation solution that's right for you. Cooking, cleaning, showering and general living in the average New Zealand home produces around 100 litres of moisture a week. A ventilation system can help reduce the impact of this on your home. (Source: EECA - Energy Efficiency and Conservation Authority). 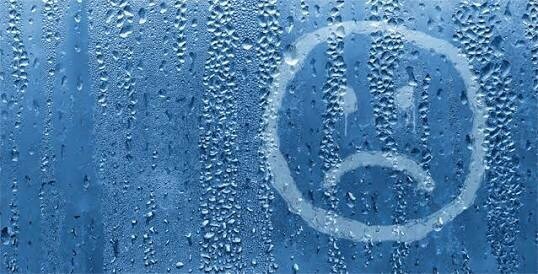 If not actively removed that moisture can lead to condensation, mould and airborne nasties and family health problems. A SmartVent home ventilation system ventilates your home with fresher, drier air; removing condensation and moisture to create a healthier, more comfortable living environment. A well designed and installed home ventilation system can offer you the convenience of good ventilation by delivering required air replacement continuously and independently of weather conditions, and is a more secure way of maintaining a fresh environment if you are away from your home. Given we can spend over 60% of our time within our homes it makes sense that we should be breathing the cleanest of air while we are there. SmartVent systems use high quality F7 filters as standard which capture 80-90% of 0.4 micron particles including dust, pollens, allergens and mould spores.